Every four years, athletes from around the world gather to compete in the Summer Olympic Games. While the athletes are competing to win gold, the games give kids a chance to learn more about the events the athletes are competing in, as well as the part of the world where the games are held. This year, the 2016 Summer Olympic Games are being held in Rio de Janeiro, the second most populous municipality in Brazil. Despite the controversy surrounding the games and their location, there are a lot of reasons to get excited. 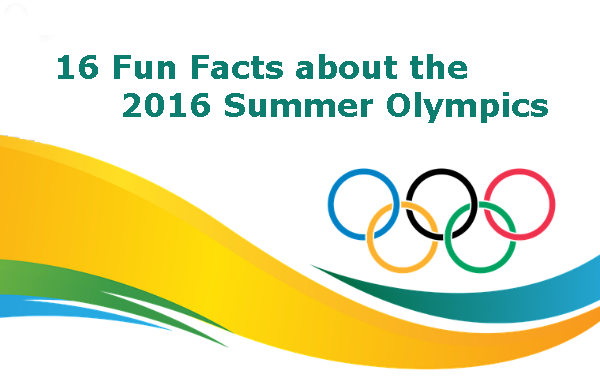 We’ve rounded up some fun facts about the 2016 Summer Olympic Games to help get kids excited too. 1. Rio de Janeiro is the first South American city to host the Olympic Games. For a fun geography activity, look up the locations of previous Olympic games and mark them on a world map. 2. Over 10,000 athletes will compete in the games. The U.S. will bring over 500 of those athletes, which you can learn about on Team USA’s website. 3. It will cost Rio de Janeiro over $9.5 billion to host the Summer Olympic games. 4. Golf will be played at the 2016 Olympics. The sport has not been part of the Summer Games for over 100 years. 5. In many countries, the competition just to make the Olympic team was tough. Queen Harrison, a hurdler, missed qualifying for the U.S. team by two one-hundredths of a second. 6. Over 45% of the athletes in Rio will be female. That’s a higher percentage of females than ever before. 7. Dipa Karmakar will compete as the first Indian female gymnast in 52 years to qualify for the Olympic games. 8. Yusra Mardini, an 18-year-old swimmer, will compete under the Olympic flag as part of the first team of refugee athletes. 9. Leila, Liina, and Lily Luik will be the first set of triplets to compete in the same Olympic sport. They are marathon runners from Estonia. 10. Simone Biles, the most decorated female gymnast in history, is the shortest member of Team USA at 4’8″ tall. 11. To prepare for the Olympics, workers in Rio de Janeiro built 43 miles of new roads and planted thousands of trees. 12. Canadian horse-jumper, Ian Miller, will compete in his 11th Olympic Games. He’s 69 years old. 13. Michael Phelps, the most-decorated Olympian of all time, will attempt to increase his medal count at the 2016 Games. He currently has 22 Olympic medals, 18 of them gold. 14. The country of Kosovo will compete in its first Olympics this year, sending eight athletes to the Games. 15. Nino Salukvadze and Tsotne Machavariani, shooters from the country of Georgia, are the first mother-son duo to compete at the Games. 16. Singer Katy Perry released her first single in two years, a song called “Rise,” which will be used as an anthem for the Olympic Games. Want to learn more about the Olympics? Work with your kids to complete our Summer Olympics Scavenger Hunt or one of our other Olympics-themed worksheets found on our seasonal worksheets page.